Det gjør ikke noget at være født i Andegaarden, naar man kun har ligget i et Svaneæg. 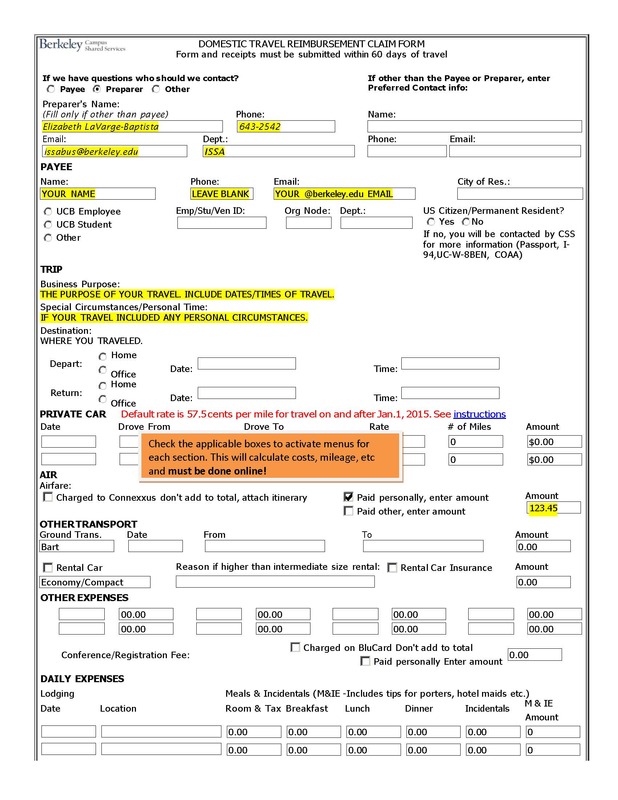 Faculty or students in the Department of Scandinavian in need of reimbursements for allowable expenses should complete the relevant form, print and sign a paper copy, and attach all relevant receipts. 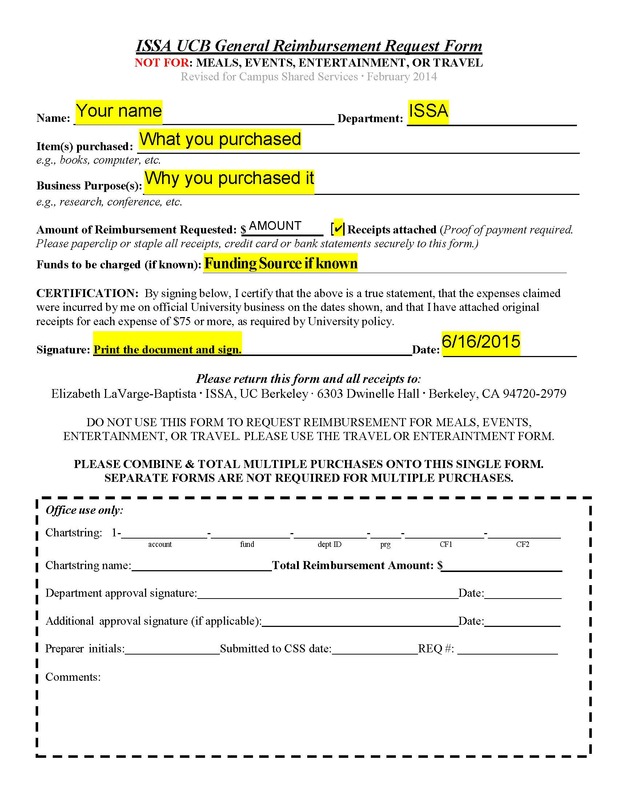 Return completed forms and documents to Elizabeth LaVarge-Baptista in 6311 Dwinelle or to her mailbox in 6303 Dwinelle. 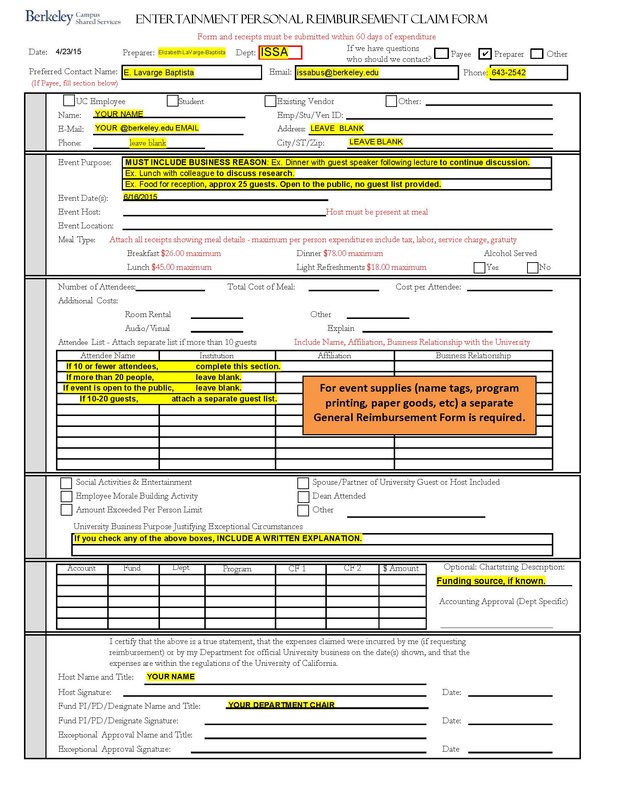 Please do not save copies of these forms for future use — they are frequently updated, and you will find the latest versions here. 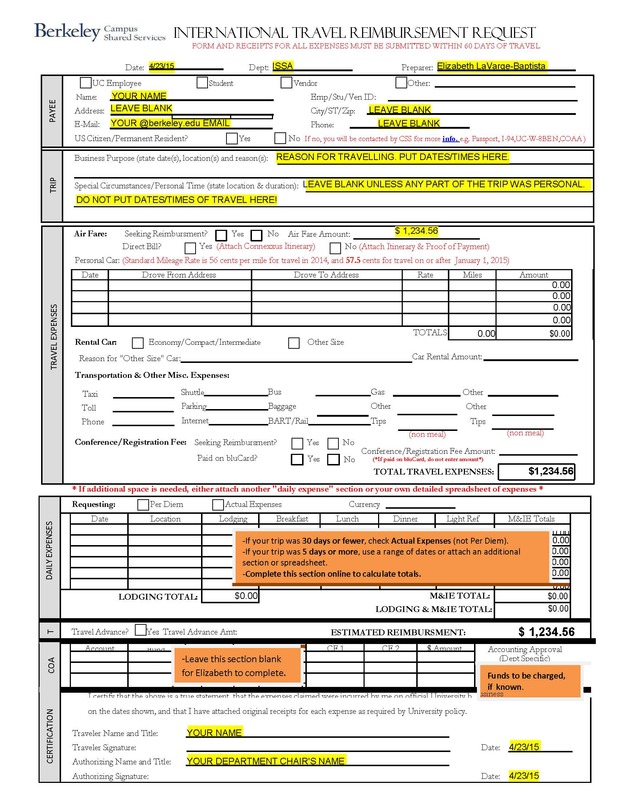 Note: For this form to print with proper formatting, you should download to Adobe first, then print. Foreign Per Diem Rates, USD, based on the month in which the traveler arrived in the country. 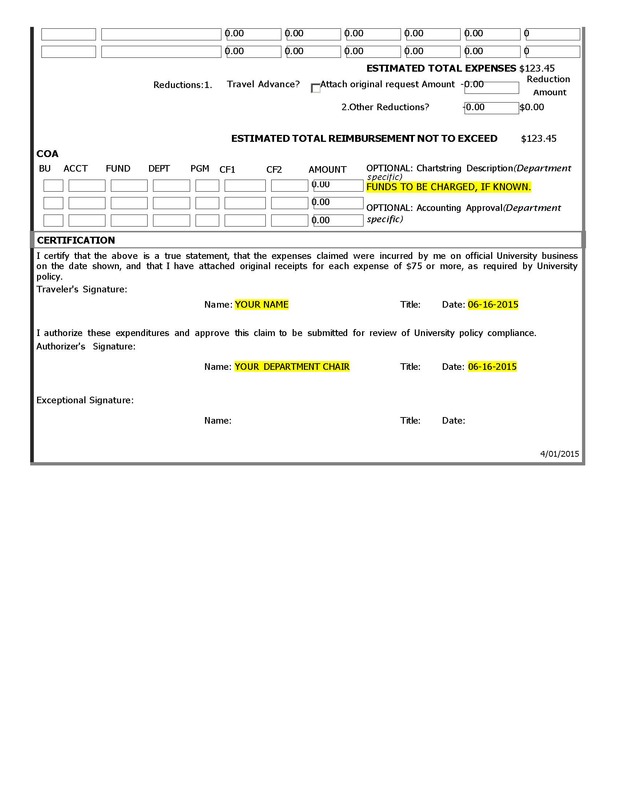 Certificate of Lost or Missing Receipt Travel and Entertainment: for expenses $75+ for which there is no itemized receipt or no receipt at all. General: required if missing an itemized receipt or proof of payment.